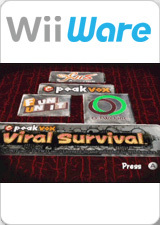 Viral Survival is an "escape" action game where you control a special DNA unit and dodge through enemy virus attacks. If you save a friendly DNA unit they will connect to you, creating a tail. The more you save, the higher point total you will accumulate. There are also four other game modes, including one where you can shoot the enemy down and compete for number of kills, and a time attack mode to save 128 DNA units in the shortest time possible! For all five game modes your score can be ranked online. Try your best to become number one in the world! The graph below charts the compatibility with Viral Survival since Dolphin's 2.0 release, listing revisions only where a compatibility change occurred.